When Josephine Garis Cochran invented the first practical dishwasher in 1886, she did so to solve a problem. She wanted a machine that could wash dishes faster than they could be done by hand and without breaking them. When she couldn't find one, the founder of KitchenAid built one. How's that for ingenuity? Josephine was definitely onto something that revolutionized how a time-consuming chore was done. At this point, you've probably become pretty reliant on your dishwasher to make short work of your kitchen clean-up. So, what can you do when your dishwasher won't start? 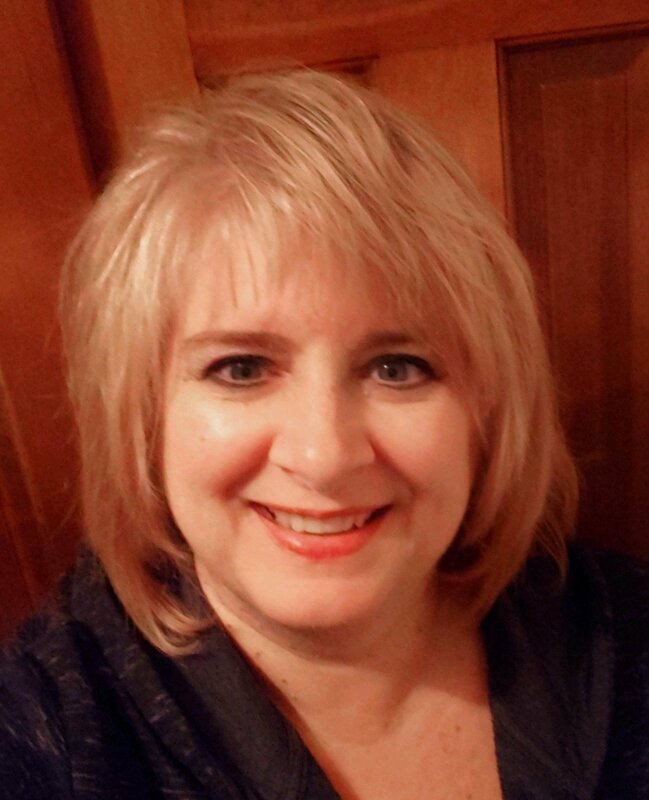 You may not have the drive that Josephine did, but by following some of the dishwasher troubleshooting tips we've put together, you may be surprised by just how clever you are. When your dishwasher won't start, it's a good idea to consider the basics. First, make sure that your dishwasher is plugged in properly. Occasionally, vibration from the machine will jar the plug loose. Make sure it's securely plugged into the wall outlet nearby. If your machine is direct-wired, check that the circuit breaker switch hasn't been tripped. A power surge that’s operating more than one appliance on the same circuit may overload the GFCI. Reset it and try starting your dishwasher again. To keep water from leaking out during the wash cycle, a door latch assembly at the top of the door secures it from opening. A door latch switch inside provides power once the door is closed. Both switches should be activated when the door is closed. If you're not sure, disconnect the power and use a multimeter to check for continuity. Replace the assembly if needed. Does your dishwasher have a child safety lock that prevents your appliance from being turned on accidentally? Your owner's manual should have instructions on how to disengage that feature. 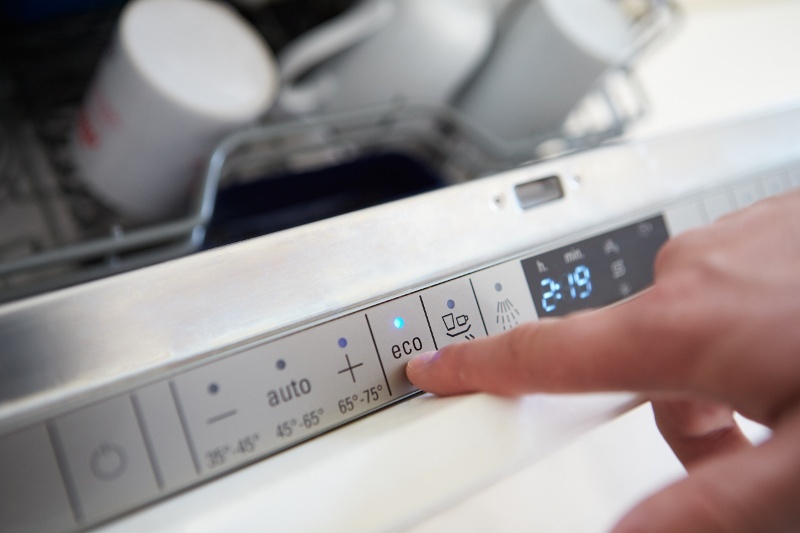 Your dishwasher's timer controls most of its major components, such as the wash and drain pumps, heating element and inlet water valve. A faulty timer will prohibit these parts from getting the power they need and the ability to work properly. Turn off the power and check continuity, then replace the timer if necessary. Another place to look if your dishwasher won't start is the thermal fuse. If it has blown, the control board won't receive any power. Locate the fuse at the top of the circuit board inside the access panel. As always, disconnect the power, and replace the fuse if there is no continuity. 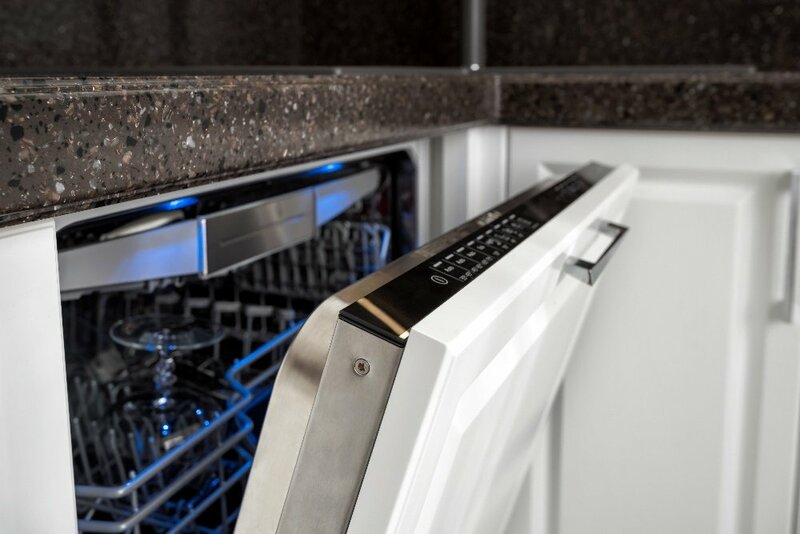 The control panel on your dishwasher takes the brunt of wear and tear from everyday use. Buttons may be stuck, wires frayed, or the unit may be loose and prevent your appliance from starting. Inspect the front and back of the panel and replace it if you find signs of damage. This part supplies power to the motor to jump start the windings. The motor start relay may be defective if you're getting power from the control circuit but your dishwasher still won't start. You can find it next to the motor. Disconnect the power, and a continuity check should be positive when activated - if it's not, replace it. The job of the dishwasher drive motor is to circulate water during the wash cycle. A telltale sign of a failing motor is a loud humming sound during the cycle. You may have a defective drive motor if your dishwasher won't start once the motor start relay sends power to it. 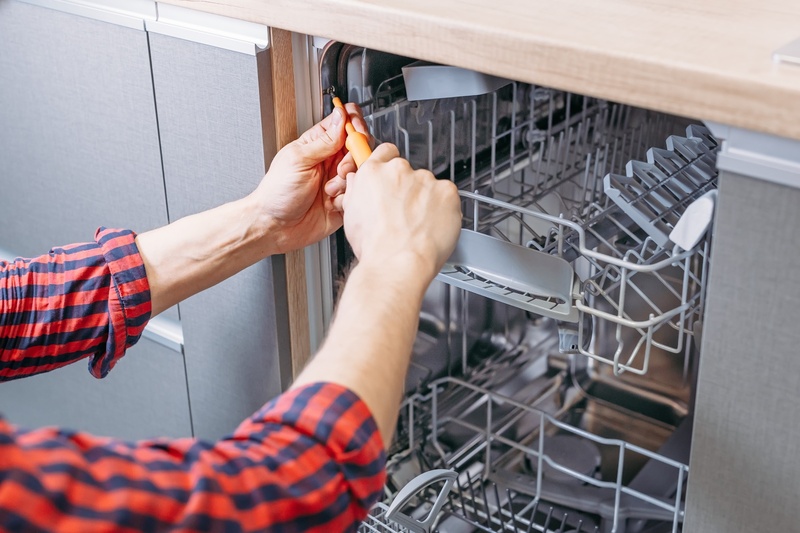 If none of these steps help you resolve your issue or you just feel more comfortable hiring a professional technician to troubleshoot and repair your dishwasher, we've got you covered. Whether your dishwasher leaks or your dishwasher won't start at all, our skilled technicians can repair it in no time. Pay a low $79 fee and a qualified repair specialist will arrive at your home, the same day if needed, to identify the problem and provide a quote. Plus, we'll even waive the fee entirely if you authorize Puls to complete the repair. No hidden fees, just a seamless, stress-free transaction. All parts and labor receive our 90-day guarantee, so you're covered in case something else goes wrong. What’s more, you can even click here for 5% off your first repair with us. So, what’re you waiting for? Book your appointment now so you get your dishwasher working like new and free up your time for more important things.